Breakfast is always a challenge for dieters. BariWise Instant Oatmeal provides the high quality protein, low carb, low fat solution with 14 grams of protein and only 6 grams of carbs. Each serving is only 100 calories and aspartame free. I have to say that this oatmeal is actually pretty good. It was a bit pasty put I added more water the second time and that made it better. I like the plan so I can add what flavor I want. This oatmeal is very tasty! I'm glad I found it. I needed a low carb, high protein breakfast, and this fits the bill, for sure! I add a sprinkle of pure stevia, and it's good to go. You won't be disappointed with this product. I read other reviews stating this oatmeal is slimy, but those folks don't know what good oatmeal is. Oatmeal shouldn't taste raw and be chewy, and this oatmeal reminds me of how my mama used to make oatmeal back in the day! 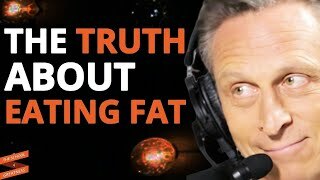 Also very filling. Something has happened and the recipe is different. This used to be one of my favorite meals. They've added a slight blueberry flavour, which for some people may be a good thing. I don't like it. I'm hoping this is a fluke so I'll try it again one more time. I'm hopeful. Please contact us to submit your review for Protein Diet Hot Oatmeal Regular (7 ct) - BariWise. Eating Healthy with Princess Lollipop! 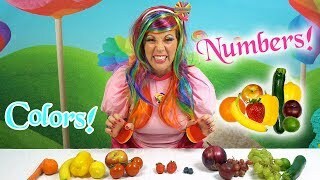 | Learn Numbers and Colors | Listen to Nursery Rhymes!